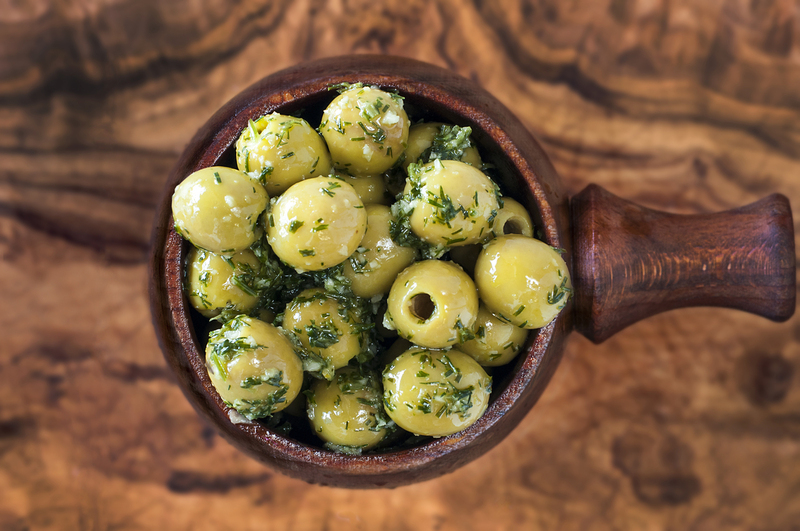 Dill is an underrated herb and we wanted to use it with one of our olives. As the dill has a delicate flavour we think it tastes best with the milder Spanish Manzanilla olive. The addition of the lemon zest as well as juice makes this olive zingy and exciting. Far too easy to eat a whole bag in one sitting. Garlic (1%), Lemon Peel (1%), Rapeseed Oil. (Warning: Some olives may contain stones).